Sign up to this eCourse! Making Sense of Affiliate Marketing by Michelle from Making Sense of Cents is your ultimate eCourse of Affiliate Marketing. It takes you from the very basics to the ultimate funnels of affiliate sales. If you’re looking to make serious income from Affiliate Marketing (be it via your blog or social media, using Amazon Associates, Skimlinks, private affiliate programmes or any other affiliate network), this eCourse will take you there. 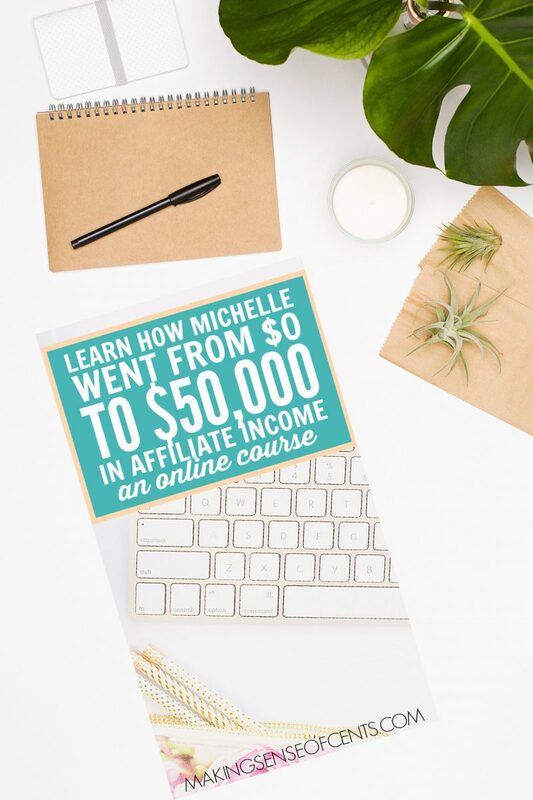 Michelle earns over $50,000 a month through affiliate marketing, and she shares all of my best tips in this eCourse.